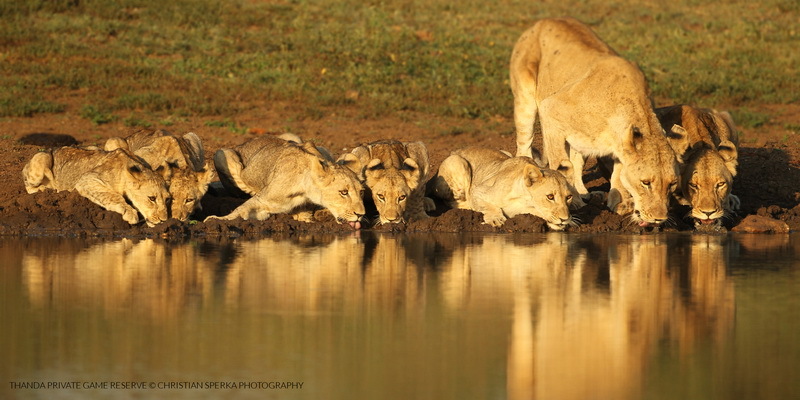 Thanda’s North Pride of Lions having a drink at a waterhole. Watching animals near water is always a special treat on any game drive. 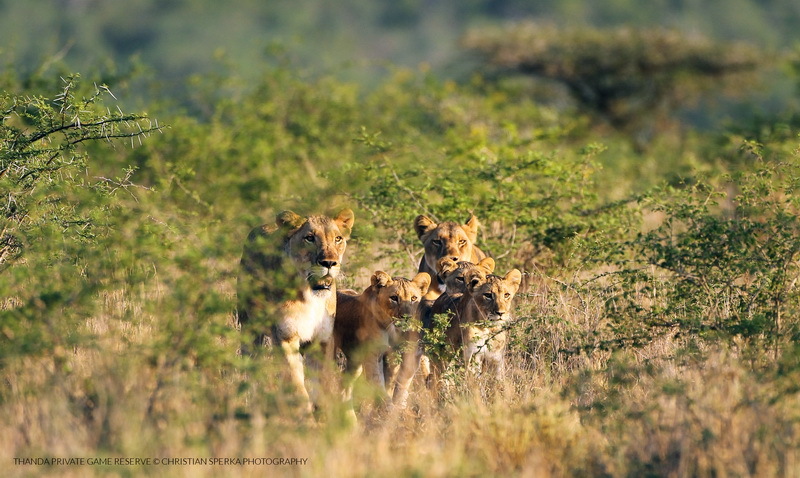 Encountering a pride of Lions in the morning sun quenching their thirst is an exceptional experience! We spent a few days In Thanda this time last year. Absolutely stunning, wonderful service, fantastic accommodation and food, and the game viewing was superb. This year we are resident in SA, not on holiday, still quite strange that we are not packing to head for the airport. 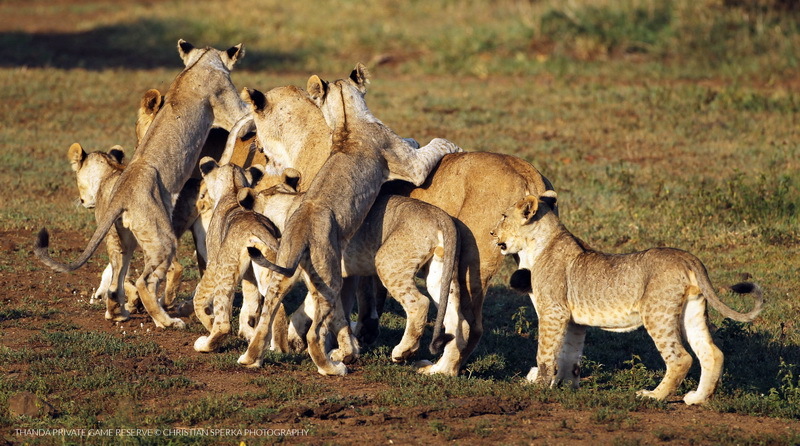 Saw some lovely sightings of these lions.